Individuals affected by severe obesity are resistant to maintaining weight loss achieved by conventional therapies, such as consuming fewer calories, increasing exercise, commercial weight-loss programs, etc.). The fact is well recognised that bariatric (weight-loss) surgery is the only effective treatment to combat severe obesity and maintain weight loss in the long term. Significant weight loss is also associated with a number of other changes in your body that help to reduce defects in fat metabolism. With increased weight loss, you will find yourself engaging in more physical activity. Individuals who find themselves on a weight-loss trend often engage in physical activity, such as walking, biking, swimming, and more. Additionally, increased physical activity combined with weight loss may often improve your body’s ability to burn fat, lead to a positive personal attitude, and decrease stress levels. Massive weight loss, as a result of bariatric surgery, also reduces hormones used to regulate sugar levels and cortisol (stress hormone) and improves the production of a number of other factors that reduce the uptake and storage of fat into fat storage depots. Physical activity is also a very important component of combating obesity. 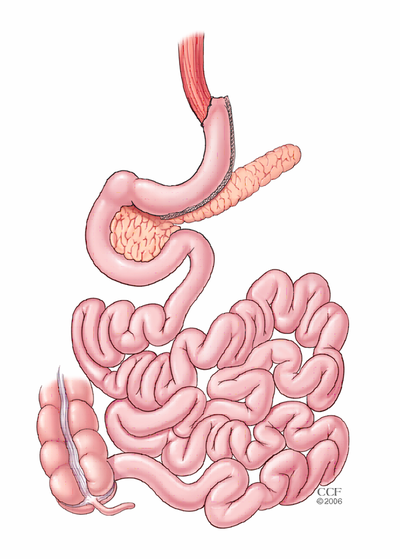 Bariatric surgeries also lead to improvement and remission of Type II diabetes mellitus (T2DM). In the past, diabetes was considered to be a progressive and incurable disease. Treatments include weight loss and lifestyle changes for those who are overweight or obese and antidiabetic medication. These treatments help to control T2DM but rarely cause remission of the disease. However, there is now a large body of scientific evidence showing remission of T2DM following bariatric surgery. A large review of 621 studies involving 135,247 patients found that bariatric surgery causes improvement of diabetes in more than 85 percent of the diabetic population and remission of the disease in 78 percent. 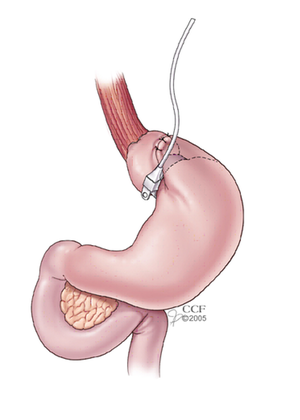 Remission of T2DM was highest for the bilio-pancreatic diversion with duodenal switch (BPD/DS) with a remission rate of 95 percent, followed by the Roux-en-Y gastric bypass (RYGB) with remission in 80 percent of patients, and the adjustable gastric band (AGB) with a remission rate of 60 percent. Other studies comparing remission of diabetes between surgeries found comparable rates between the laparoscopic sleeve gastrectomy (LSG) and RYGB, i.e. 80 percent. BMI > 40, or more. BMI >35 and at least one or more obesity-related co-morbidities such as type II diabetes (T2DM), hypertension, sleep apnea and other respiratory disorders, non-alcoholic fatty liver disease, osteoarthritis, lipid abnormalities, gastrointestinal disorders, or heart disease. Arms and other areas may not be covered if they are considered “purely” cosmetic by your insurer. You will need to take a multivitamin for life. You may need higher doses of certain vitamins or minerals, especially Iron, Calcium, and Vitamin D. You will also need to have at least yearly blood tests. Yes. 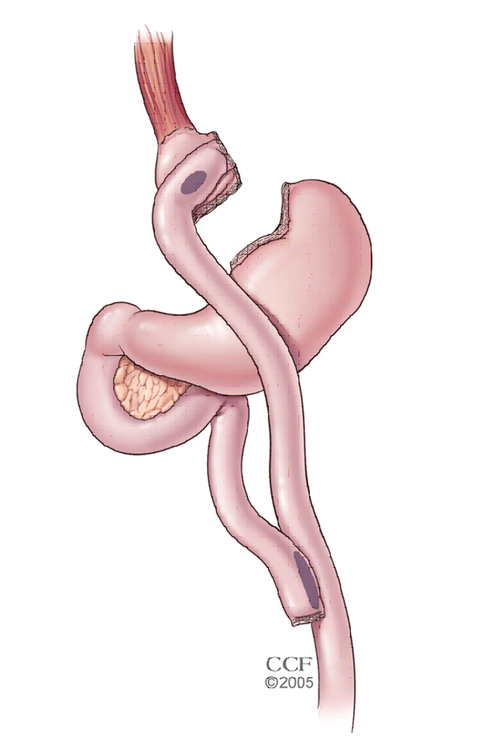 Most bariatric surgeons put their patients on a special pre-operative diet, usually 2 or 3 weeks just before surgery. The reason for the pre-operative diet is to shrink the liver and reduce fat in the abdomen. This helps during the procedure and makes it safer. These diets are very different from the short term diets, and usually are more about food education and showing a willingness to complete appointments and to learn. As you lose weight, you may be able to reduce or eliminate the need for many of the medications you take for high blood pressure, heart disease, arthritis, cholesterol, and diabetes. If you have a gastric bypass or sleeve gastrectomy , you may even be able to reduce the dosage or discontinue the use of your diabetes medications soon after your procedure.